It was finally time to strengthen the stance of my 2009 Mazdaspeed3 and this meant switching from the weak stock shocks and struts with lowering springs to something better. This something better meant finding a coilover system that would drop my car easily to about 3+ inches as well as included such important adjustablities, such as the front camber plates. There is only one company that makes coilover systems with front camber plates and does not require sourcing other parts to drop the car really low. That company is BC Racing, who produces their products in Taiwan, but that should not discourage anyone from getting them to stance their Mazda or any car properly since they have been around and improved since their early days. And as a result, I ventured into inquiring coilovers from BC Racing that came with what they called their “extreme drop kit” to satisfy my stance needs. 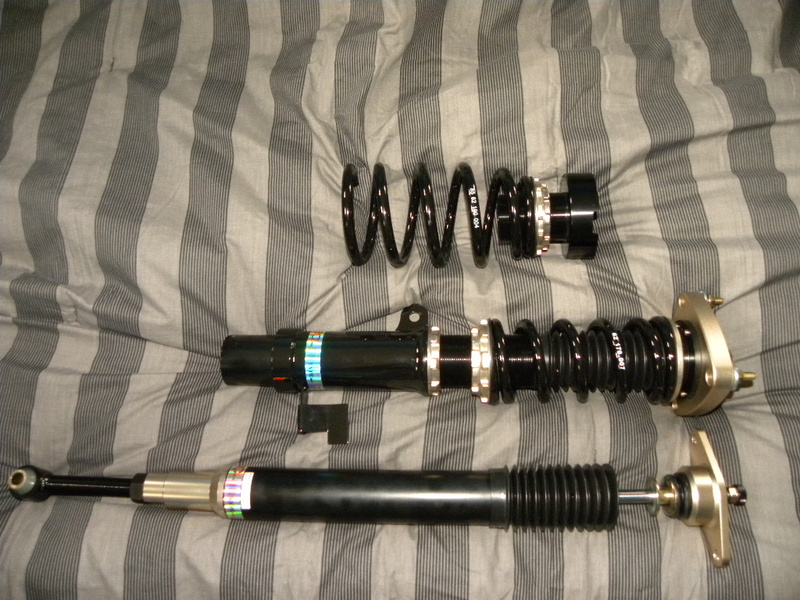 These are the BC Racing BR-RA type Coilovers for the Mazda 3 2004+ (BK3P), and BC Racing part number N-03. The spring rates are 7 Kg/mm in the front and 4 Kg/mm in the rear. While, the spring lengths are 170mm (6.69 inches) in the front and 190mm (7.48 inches) in the rear. The inner diameter (ID) of the front springs are 62, while the rear springs are 62 where the spring meets with the perch and 85 where the spring meets with the spring cup. As you can see this is basically a revamp version that BC Racing has done to the coilovers about 5 months ago now. The rear perch and spring is now redesigned in a similar fashion to KW, H&R, and MS coilover systems. The position of the rear perch is now placed at the top instead of the old design on the bottom. The perch has a notch on that is used to clear and fit on the weld of the upper mount. The fronts now have shorter cartridges to help decrease ride height. In addition to this, BC Racing has increased the strength of their washers and mounts, such as the front camber plate mounts. As a result, these coilovers are able to do a 3+ inch drop on this car. And overall, highly satisfied with what I have received to help stance my car to my liking. Look out for pictures of the product on the car. I’ve got the MS coils right now, lowered all the way with the helpers & bump stops taken out, and i’m still really not as low as i would like to be. I’m also very frustrated with the lack of front camber adjustments and with the length of the rear spring which gives it a serious front rake. How happy have you been so far (if installed) with the BC set? Also, how much were you able to pick them up for? Yes I am extremely happy with the results; goes really low and the adjustments are great. I am maxed out on negative camber on the front, which made the fitment on point especially with how the front fenders are designed compared to the rear fenders. The rear can still go lower, only thing stopping me right now is more camber adjustment for more negative play for the rear. 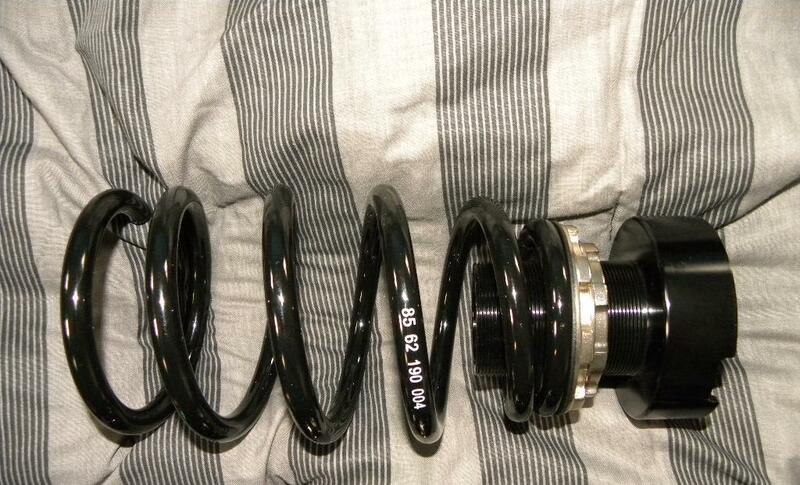 Look at the other posts/on the forums for pictures on how it looks on my 2009 Mazda Mazdaspeed 3 currently. I got these for $999 shipped. Hey, just to confirm I understand, you said you got a 3 inch drop from the coils?? Would the BR-RA fit on a 2007 mazdaspeed3? I just got my car a few weeks ago and I am new to the scene, looking for some help. Thank you for this incredible post, never heard of BC and I’m glad I stumbled upon this. Yes it would fit a regular Mazda 3 and a Mazdaspeed3.